I am excited about the change that will take place for L&L this year and now I am able to announce some of them. This year is kicking off to an amazing start. There have been some ups and downs in this last month but honestly it has been amazingly satisfying. One of the biggest things changing at L&L is now I have two contributing writers, possibly four. I will know about the latter soon and I will let you know. But being that I am so busy with my coffee business I have not had the time to truly dedicate to L&L and she is my ultimate baby. So, some amazing women have stepped in to help. The first being world class Makeup Artist, hailing from Singapore, Lydia L.
Lydia has dedicated close to 8 years to her craft and has been a part of many projects. 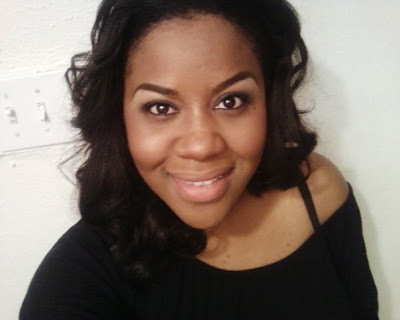 She will be a Contributing Beauty Editor/Writer and she will be keeping you abreast of the trends in makeup and beauty. The second contributor is, Porsché J. Porsche has been in the beauty industry for the last 10+ years and loves all things beauty. She is L&L's Contributing Women of Color Beauty Writer and Editor and will be contributing posts on challenges that affect women of color. There will be a bio page for each of these ladies up by the end of the week. I have also been working on a logo mock-up and I am looking forward to having it professionally rendered. I am excited about the changes to L&L and I look forward to telling you all about the rest in the future. But until then, enjoy your day and DREAM BIG! Create a definite plan for carrying out your desire and begin at once, whether you're ready or not, to put this plan into action. 2 comments on "Change is good"
Good for you for going out there and making this happen! Thanks for your inspiring words!